BIG-ODDS BETDAQ VALUE TARGET ON GOLD CUP DAY: It’s Gold Cup day in Ireland today on Day 2 of the Dublin Festival! And Daqman bids for gold of his own from huge offers on BETDAQ: 36.0, 31.0, 26.0 and 11.0 (twice) among them, and his Fortune Cookie is 7.6 to maximum stakes, as always. 12.40 Leopardstown (Paddy Mullins Mares Handicap Hurdle) Jessica Harrington has Alletrix lined up for back-to-back wins in this, inspired perhaps by a hat-trick in the race by Who’s That (2015-17). 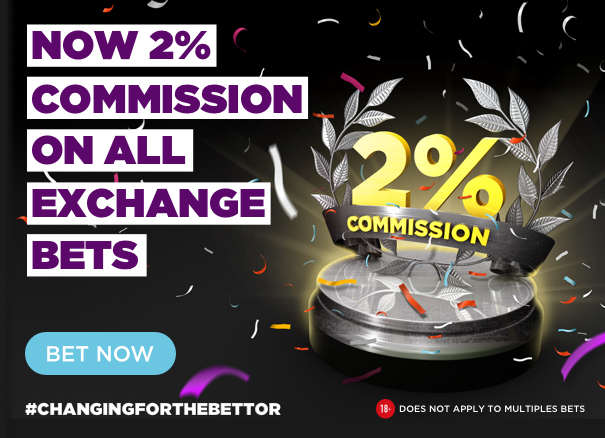 Alletrix is 12lb higher now after a Grade-1 third to Laurina in the Mares’ Novice Championship at Fairyhouse in the Spring, but still looks big at 18.5 offers on BETDAQ. Sinoria impressed in a big-field maiden at Down Royal. It’s a huge leap pitched into this Grade B off 128 for her first handicap and only her third race, but the market speaks for her. Cut The Mustard fell behind Laurina and Alletrix at Fairyhouse and Jetez, who outpointed ‘Mustard’ in a big field here in December, was right out the back door in an even better Grade B, the Ladbrokes Hurdle, here yesterday, in which Sapphire Lady’s form was also let down (by Wonder Laish). Court Maid is clearly progressive and Sassy Diva consistent, while Agusta Gold will have to ‘do an Apple’s Jade’, dropped down in trip. I prefer Clementina (BETDAQ 26.0 taken), who will carry a featherweight here. She looks produced for this by handicap-king Tony Martin, with plenty of scope and unexposed at the trip, after two Fairyhouse wins over 2m. 1.15 Leopardstown (Spring Juvenile Hurdle) In my preview for the meeting, I pointed out that Footpad had been launched in this by Willie Mullins, a 14-1 winner in 2016, and thought it might be a steal to find another Mullins long-shot with hidden magic. But that would have to be the filly Lamarckise, having her first run since arriving from France, for a stable that has a 48% strike rate with new recruits: 36.0 and 6.6 win and place on BETDAQ. Otherwise it looks like a rematch between Triumph Hurdle hopes Sir Erec (Joseph O’Brien, who has a similar strike rate at Leopardstown) and Ruby Walsh’s choice of the Willie Mullins duo in this, Tiger Tap Tap. They were separated by only a neck here at the Christmas meeting. One or both could improve but I’ll stick with Sir Erec as the quality horse of the two, on the strength of his third to Stradivarius in the Long Distance Cup at Ascot on Champions Day. Around 2-1. 1.50 Leopardstown A Grade-1 hurdle for novices which Willie Mullins won five years in a row (including with Vautour and Nichols Canyon), until halted by Gordon Elliott last season. With Jack Kennedy riding out of his skin yesterday, Gordon has a ‘could be anything’ candidate today in Vision d’Honneur but faces a four-strong Willie Mullins squad. Ruby Walsh was surprised by Aramon’s 10-lengths win here at the Christmas meeting and prefers 4.0 BETDAQ offer Klassical Dream, who had Vision d’Honneur behind in fourth when outpointing Entoucas here on Boxing Day. In fact, Royal Bond runner-up Triplicate, who had beaten Aramon at Listowel in the autumn, returned with a cut heel after Aramon’s so-called revenge win. 2.25 Leopardstown The handicapper is not always on the ball. Though he’d beaten a Grade-1 hurdler, Whisper, in the Ladbrokes Trophy at Newbury, in the December, Total Recall was allowed to run in this handicap hurdle 31lb lower than his revised chase mark. He won as 5-6 favourite, despite the big field. If something’s slipped through this time, it would be The Gatechecker, the Cork National third who is 13lb lower over hurdles, even though he looked good in his prep for Cork, a 3m hurdle at Listowel. His 7lb claimer, Darragh O’Keefe, had yesterday’s Ladbrokes Hurdle in his grasp with the veteran Jezki, until Off You Go came out of the blue and caught him in the last few yards. I took 31.0 in the BETDAQ orange. Cuneo and Rachael Blackmore, a 6.6 offer, won a Pertemps qualifier here in December on ground like today’s, travelling well throughout. 3.00 Leopardstow (Flogas Novice Chase) We get a line here between English and Irish Cheltenham hopes via La Bague Au Roi, who proved very game at Kempton’s King George meeting. The eight-lengths Drinmore third, Jetz, was 15 lengths behind Winter Escape at Punchestown and, on the soft, was unsighted well in rear of Hardline and Getabird. This race is usually only a guide to placed horses at Cheltenham but, surely, whatever emerges on top here must settle so many form issues that he is assured of a big future. I have the Fortune Cookie 20 points on Winter Escape as my final horses-to-follow fling of this Dublin Festival. They are settled at SP, but I got on at 7.6 this morning to take the profit past 600 points. 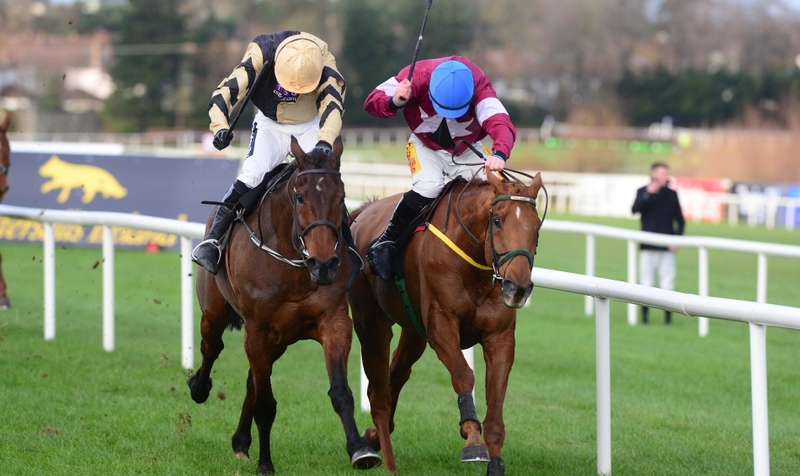 3.35 Leopardstown (Irish Gold Cup) I had Apple’s Jade well clear in my Champion Hurdle ratings assessment earlier in the week but Road To Respect is officially only a pound up on Bellshill in this, with Al Boum Photo just 4lb off the top. And, since his Cheltenham Gold Cup fourth, he’s lost some respect in defeats by the Willie Mullins pair, Bellshill (albeit he stumbled three out in the Punchestown Gold Cup) and Kemboy here over Christmas. Last year’s winner of this, Edwulf, was well behind in both those races but Monalee finished second to Kemboy. Monalee was also runner-up in Presenting Percy’s RSA last March after beating Al Boum Photo in the Flogas on today’s card. It’s wide open, I think, so a bit of 8.4 Monalee to small stakes. 4.10 Leopardstown (Leopardstown Chase) I reported earlier in the week that only one winner of this Grade A handicap has carried more than 10st 13lb in seven seasons. But seven of the last nine were priced between 6-1 and 10-1 at SP. So I suggested you hunt out a horse with decent form at a winning weight that appears well fancied. You did. Seemingly the puzzle is reduced to Speaker Connolly (6.4 BETDAQ favourite this morning), whose Leopardstown form at the Christmas meeting has been boosted by the runner-up, and Any Second Now, who spent a lot of his time chasing home Footpad before a step up in trip. Last year’s runner-up, Vieux Morvan (BETDAQ 11.0), ran a cracker in the PP Chase, and Cadmium (also 11.0) is back in a handicap for the first time since winning by eight-lengths at the Punchestown Festival.